When it comes to a typical artificial grass installation, homeowners are often swayed by its enticing benefits. Whether it’s saving water and money or the low maintenance nature of the turf, people cannot wait to get it installed in their yard. 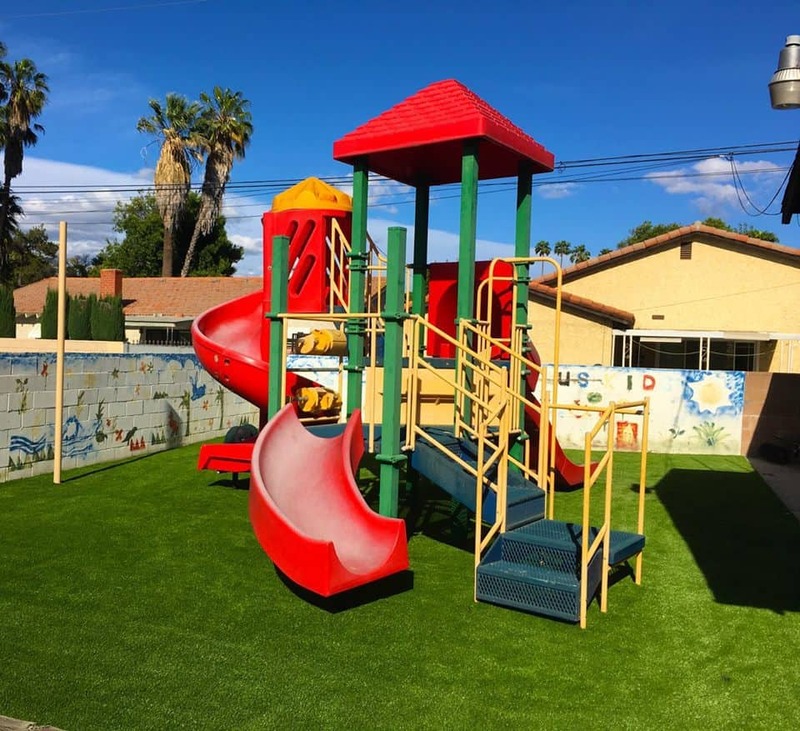 What many homeowners often don’t consider, however, is the many benefits artificial grass has as an alternative playground surface for their kids! When your kids are outside playing, any parent has cause for concern. They could be ruining their clothes with grass stains, stepping in the mud, or eating something toxic. When you make the switch to a yard of synthetic grass, you create a haven for your kids no one needs to worry about. At Duran Lawn, our synthetic turf playscapes feature eco-friendly foam padding to protect children against impact injuries and falls. Our padding meets or exceeds all American Society for Testing and Materials standards and can cushion falls from over 10 feet high. This makes jumping off the swing set a significantly less daunting visual from the kitchen window. Each product is engineered to be both realistic and durable for any amount of play. On top of that, our synthetic grass products are non-toxic and certified lead-free. Kids can run in it, roll in it, and lay in it without skin irritations, allergies, bugs, or stains. You don’t have to keep an eye out for potholes, or mud puddles because the surface is smooth and puddle free with fast drainage. This also means you will be leaving muddy footprints on your carpet behind and grass stain removers will end up in the trash. For the perfect synthetic lawn combination use Duran Lawn’s protective padding, an antimicrobial Durafill infill, and our artificial turf products. Your backyard playground will look brand new and maintain a fun and safe environment your children can enjoy for years to come! 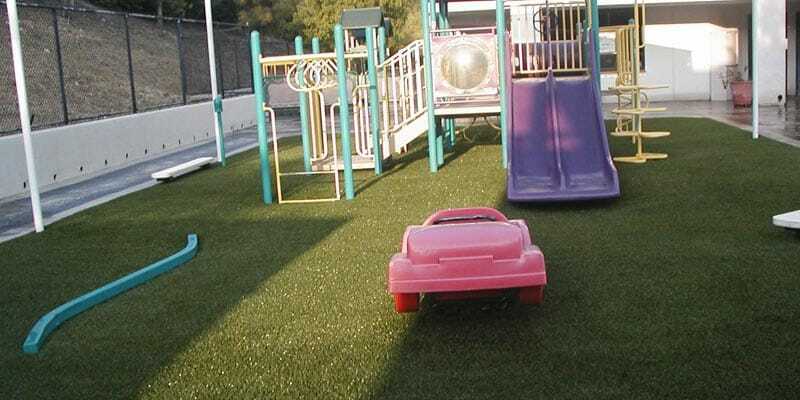 Our proud, family-owned artificial grass installation company would love to get you a free estimate on your playscape project. Give us at Duran Lawn Creations a call today at (888) 862-8470. Duran Lawn Creations: Who We Are What Can I Use Artificial Turf For?